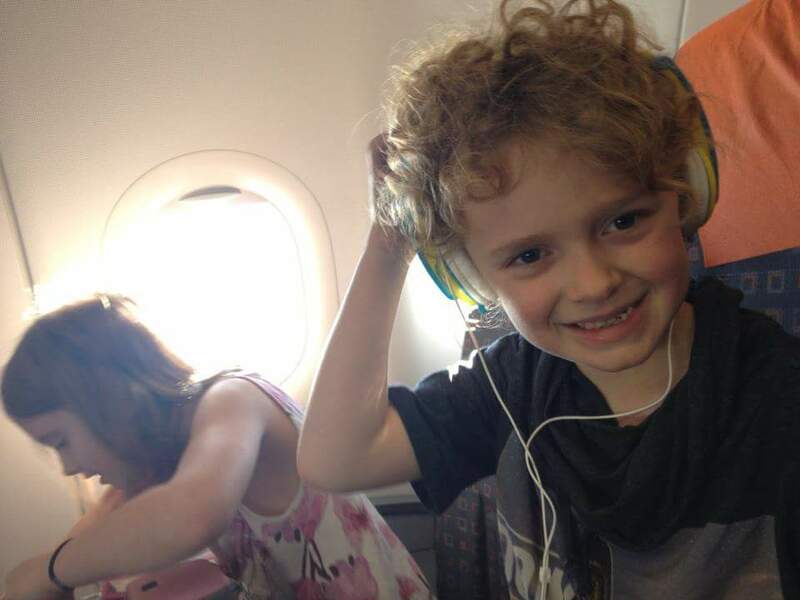 10 great tips for flying with an autistic child! Our seats were pre-booked months in advance to ensure we were sat together. I paid a lot for this privilege as this particular airline did not see autism as a medical reason to guarentee you seats. It was to be a seven hour flight. We had already woken very early, endured a 3 hour flight and a 9 hour wait in a busy airport. This was not going to be an easy journey sat next to a tired, over stimulated child who needs constant reasurance, repetitively pushes buttons, opens and closes tray tables, is anxious of flying and doesnt like crowds. It was however a journey we needed to do so I pre booked seats to ensure I could take care of him during the flight. The problems started when we boarded the plane and realised that the adults were sat in row 23, an exit row where children are not allowed to sit for safety reasons and the children were sat in row 22, which according to the very unhelpful flight attendant “is clearly the row in front of you ma’am, you are in row 23, your children are in 22, this is considered seated together”. Rather unfortunately, no amount of begging with the flight attendants could change the fact that we were sat in the front row of the back section of the plane and the children were sat in the back row of the front section of the plane. There was a toilet block between us and we couldnt even see them. Things went from bad to worse throughout the flight. Incredibly bad turbulance meant noone could leave their seats for 5 hours (admittedly not the airlines fault). There was no food and drink during this time. The flight attendant promised my son a drink but never came back. The youngest child was sick and the 11 year old had to clear it up while my autistic child was made to move by the flight attendent, without pausing his movie first. When he eventually got a drink after five hours he was told they had run out of the drink he wanted despite it being served to the row behind. He got more and more stressed and to cut a long story short by the time we landed (and his movie abruptly turned off again) he was in full on head banging, punching, kicking and loudly screaming meltdown mode! I couldnt calm him down until we were off the plane, through security and in a quiet corner of the baggage reclaim room! Now, all autistic children are different and all flights and airlines are different. The above story, as any parent of any autistic child would understand, is by far our worst experience of flying and I have learnt from this experience never to travel with this particular airline again. As a general rule if you do your preparation a couple of months before you fly it can make it easier. However sometimes you just have to accept that travelling may be difficult, you wont get a rest on the flight, it can be pretty full on but its a necessary part of where you want to be and it is too much of a shame to miss out on the many adventures you can have just because people may look at you dissaprovingly on a flight. The first rule of travelling by plane with autistic children has to be to plan ahead. 2. Book seats in advance! Phone the airline you are travelling with and ask for allocated medical seats and to be seated with your child. If your child is a kicker then ask for bulk head seats so as not to annoy other passengers. 3. Board first or last! Ask for priority boarding. Speak to the staff when you check in or drop your bags off at the airport or even the staff at the gate where you board. At least one of these places will help you and you will be able to board the plane first so you can settle your child on an empty plane, before crowds of people pack into the aisles. If you are late for some reason then board last, when everyone else is seated! Ring or email the airports you are travelling from, through and to. Some airports have great autism schemes. For example, Manchester in the UK have a lanyard, which will identify you to staff as someone who may need additional support or understanding. You can pick up a lanyard from any assistance reception areas even if you havent requested special assistance. The lanyard will enable you to use the fast track lanes through security. Chicago have a printable purple badge which works in very much the same way as the blue wrist band. Most airports will be helpful and send you pictures so you can prepare your child and some have social stories available for this purpose. If you are travelling to America then contact TSA before you travel. They have been so helpful to us over the years. TSA also have a downloadable card you can print and show at security points. Depending on the airport there are different ways they can help but generally it involves being met, either off the plane or phoning a number when you get there and then you are escorted through security etc which avoids queues and makes the whole process easier. Toronto airport have to be the very best place we have flown through. I emailed them a couple of weeks before we travelled as we were landing there before getting a connecting flight to Orlando. We were to have a 6 hour wait in the airport for our next flight. At Toronto you come off the plane into a very crowded place where you must allocate each of your baggage numbers on the big screen before you queue up to go through to security. Just as our initial impressions were uh-oh, we heard an announcement over the tannoy for our family to contact a member of staff. They introduced themselves and said they were there to help. We were led to a quiet area with comfy seats to wait while they allocated our bags for us. We were then escorted straight to the front of the security queue and helped through. They then led us to an airport lounge and explained we were to wait there, where it was quiet with free food and drink while they tried to get us on an earlier flight to Orlando. An hour later they came to get us and explained that they had managed to get five seats together on an earlier flight. They took us straight to the boarding gate and pre boarded us. It was the least stressful airport experience we have ever had! 6. Visit an airport beforehand! 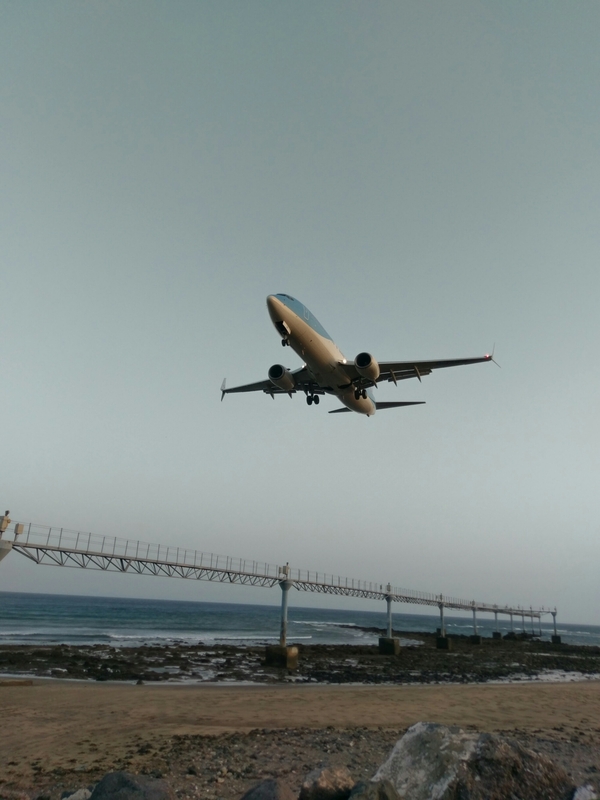 If your child has never been on a plane and is feeling anxious there are also some airports that offer times for you to take your child and get on a plane for practice or for a tour.Alternatively just visiting or going to a viewing park may help prepare your child. 7. Park as close as you can! We always drive to the airport and pay to park in an onsite car park, preferably one close enough to walk to the terminal. This cuts out the added stress of busses. Once in the terminal it is worth talking to a member of staff near the check in queue as they can normally send you down a disabled or priority passenger queue to check in, which is less stressful. If you are at an airport like Manchester with the lanyard, then you can fast track security using the special assistance queue. Otherwise make use of the disabled queue and just explain to the person manning the entrance. At the end of my story above, I literally opened my own queue at passport control and when questioned, I firmly said “hes autistic, hes having a meltdown and I need to get him out of here” It worked and we were through in seconds. Im not sure I would try that anywhere other than England! 9. Book a lounge or hotel! If you can afford it, book an airport lounge. Its cheaper to book in advance. You may just need this amazing oasis in the midst of a chaotic airport to help calm your child before or between flights. There is usually free food and drink, wifi, comfy chairs and toilets. If you have a very long wait between connecting flights it is worth looking into booking a hotel room. Some hotels are actually attached to the airport and depending on the time needed you can book a room for a night or just for a day. In terms of keeping your child calm on the flight, you know your child best. If they wont sit next to a stranger or would be irritated having to keep getting up then maybe consider the window seat. If you know they would be better getting up to walk around or frequently use the toilet then consider an aisle seat. Take comfort items and anything you may need on board with you. For instance we take a taggy blanket, favourite soft toy, ipad, stretchy elastic, and ear defenders. We make sure to get a drink and food at the airport to take on the plane too. Talk to the cabin staff and they are normally very understanding and make allowances such as leaving head phones or ear defenders on for take off and landing. Always sit next to your child and be prepared to spend the whole flight keeping them calm! Finally I take with me little cards Ive printed myself which simply state “My child has autism and sensory processing difficulties. He does not mean to be rude but may not answer when spoken to. He doesnt deal well with queues or crowds of people. Thankyou for your patience.” I only use these if needed as generally most people are incredibly understanding. And an extra important tip – look after yourself! Flights can be difficult with any children and especially those with autism. Make sure you get plenty of sleep the night before and try to be as prepared as you can. Obviously sometimes things can be out of your control but I personally think holidays are worth the hard work of travelling. Your negative flight experience was absolutely horrendous, I’m stressed just reading it. Any ‘neurotypical’ child would have struggled to cope, never mind a child or young person with an ASD. Your tips are great and I’m sharing your post with others thanks. Pingback: Kids on TourAutism Without LimitsSix ways to make flying to Florida more affordable!